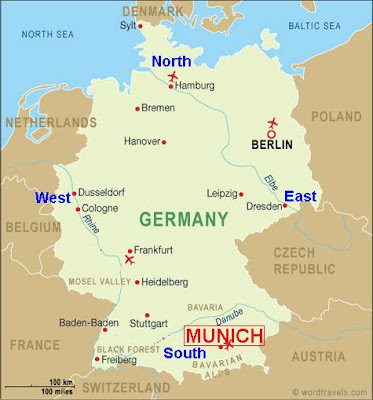 Munich is located in the South of Germany. Only someone supercritical would call that stretching it just a bit. Now, if you think her name reminds you of a German wine label: stop that, you're being mean. Munich breweries joined forces to brew (!) 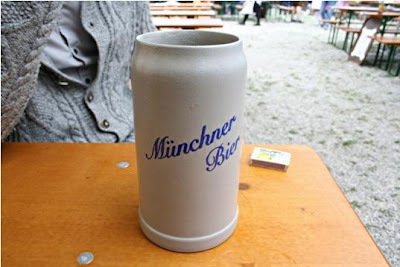 a commemorative beer. 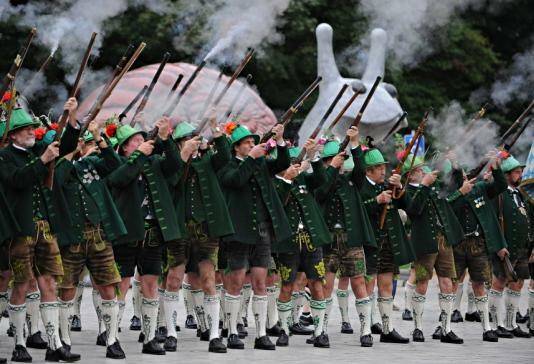 15 more Oktoberfest photos – with German captions, sorry – in today's Munich newspaper Süddeutsche Zeitung. Prost! First though, a special treat I found yesterday, only 6'31'' long but jaw-droppingly fascinating: the video "The Known Universe". Created by the American Museum of Natural History, it takes viewers from the Himalayas through our atmosphere and the inky black of space to the afterglow of the Big Bang. And back to earth, thankfully. I recommend to watch it in full screen, and if you have a fast internet connection, in 720p. The classic, earthy colors associated with Fall decorations are an homage to Mother Nature herself. The burnt oranges, browns, and golden wheats are the colors we witness first-hand as the seasons change. But the changes in color aren't just for out of doors. These days, the most savvy of decorators bring the season inside. How can you makeover your home for Fall? Here are some simple ways to capture the spirit of the season, without turning off potential home buyers. Changing Tablescapes: When staging your home, your dining room does wonders for setting a mood. And in the Fall, that mood is magnified by family dinners and the holidays. To take advantage of the season, change up your tablescape. The first step can be to change your tablecloth or runner to richer, more earthy tones. If you are a true do-it-yourselfer, you can find seasonal fabrics at your local fabric store. A runner is as simple as cutting a straight line and making neat edges. Next, invest in gold or jewel color chargers that will accent your family china. A charger is simply the decorative "plate" that is used to dress up your dining table. And finally, don't be afraid to set a theme. Mini-pumpkins can be used to hold name-cards. Use the florals of the season, such as holly berries and decorate branches to create a festive centerpiece. And accent the table with beautiful leaves. Scents: Fall is a great time for warm, rich scents, such as apple-cinnamon, French Vanilla, and anything related to cookies or baked goods! Just keep them away from your dining table, so that their scent doesn't overpower the tantalizing aroma of your home-cooked meal. Welcome Wagon: The first thing your buyer sees is your front door. So, make this space inviting. Use mats, wreaths, or a simple hanging cornucopia as a seasonal display. Swap out Fabric: It's time to get cozy on the couch. Bring out your favorite throws, especially those in luxurious chenille or velvet! And don't forget to add a cozy blanket to your guest rooms as well. Fall colors are a fun way to welcome guests, so take advantage of the season!